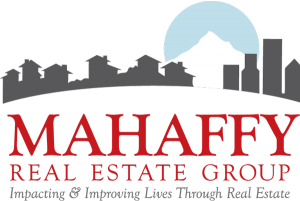 Helping You Accomplish Your Real Estate Hopes & Dreams! while supporting you through every step of the process! and those looking to buy or sell acreages of all sizes. Joe was nothing short of amazing for our home-buying experience!! We were second-time home buyers and had had a rough experience in Houston, Texas, with the purchase of our first home. He was attentive to our needs, honest about our wants, knowledgeable about the area, and the home buying process, and through it all he was cheerful, pleasant, and a lot of fun! I would highly recommend Joe to anyone looking to purchase a home. Bought a Single Family home in 2018 in Greenway, Beaverton, OR. Joe was amazing! What a wonderful experience. We told Joe the house we were looking for and he made it his mission to find us that house we were dreaming of. We are now in our new home and couldn't be happier. I would recommend Joe to anyone. He will find you your dream home! 08/27/2018 -Bought a Single Family home in 2018 in South Burlingame, Portland, OR.